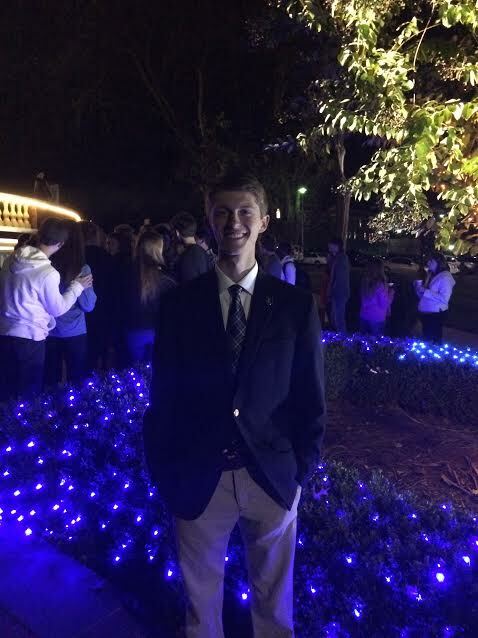 On Tuesday evening, ETSU President Brian Noland and SGA President Alex Cassell kicked off the holiday season with the holiday lighting ceremony at Alumni Plaza. Cassell opened the event with a few remarks about the holiday season. Cassell also took time to remind students that although finals are approaching, they should not forget the reason for the holiday season. 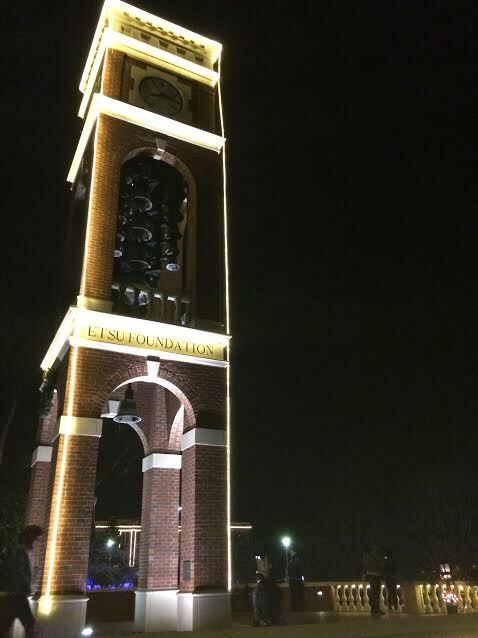 Noland then thanked the audience and spoke about the history of ETSU. “Part of the original mission of this institution was to create opportunities to educate teachers to move into the rural regions of our state and help to transform the quality of life for the people of our region,” Noland said. Noland also took time to thank members of University School’s faculty, staff, and student body for being in attendance. “I am so excited to have Dr. [Troy] Knechtel and members of the University School family here tonight to bring us full circle as an institution, a normal school, and a university community,” Noland said. After his brief speech, Noland welcomed a special guest, Santa Claus, to help him and Cassell countdown to turning on the lights. After the lights were turned on, cookies, apple cider and hot chocolate were served while holiday music cheerfully played in the background. Children and adults took full advantage of the opportunity to take pictures with Santa. 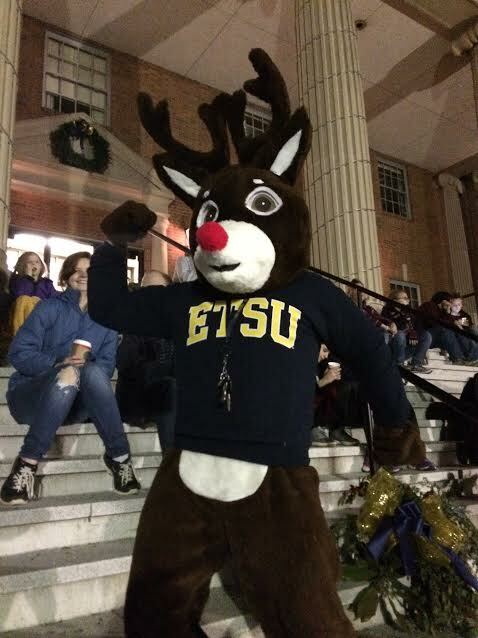 Wearing an ETSU sweatshirt to show off his Buccaneer pride, Rudolph joined the festivities to take pictures with people as well. 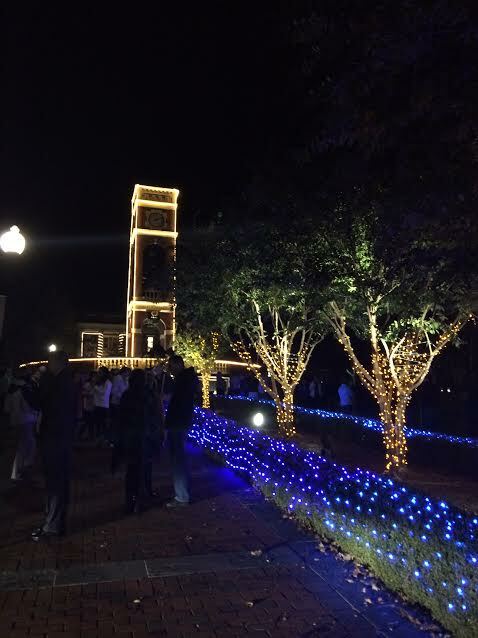 The holiday lights illuminate Alumni Plaza, Burgin Dossett Hall, Gilbreath Hall and University School. 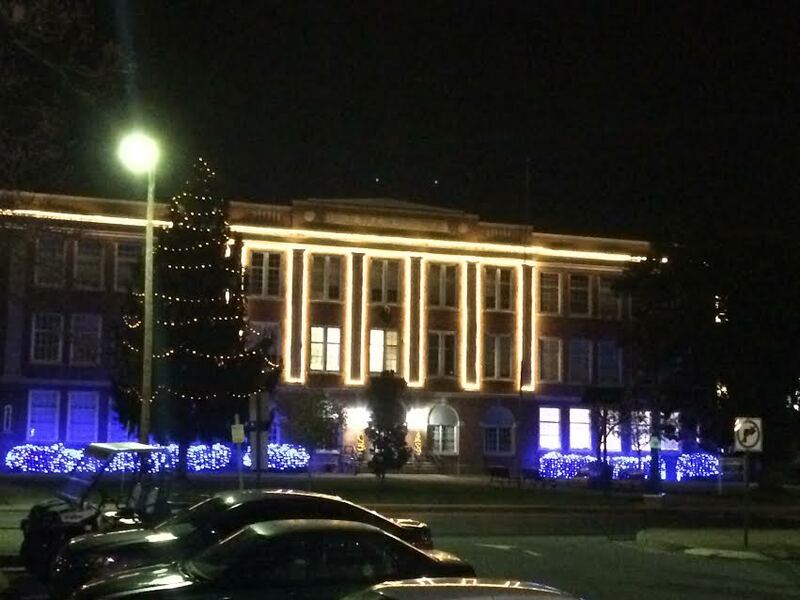 The holiday lights and other holiday decorations will remain on campus until the end of the semester.